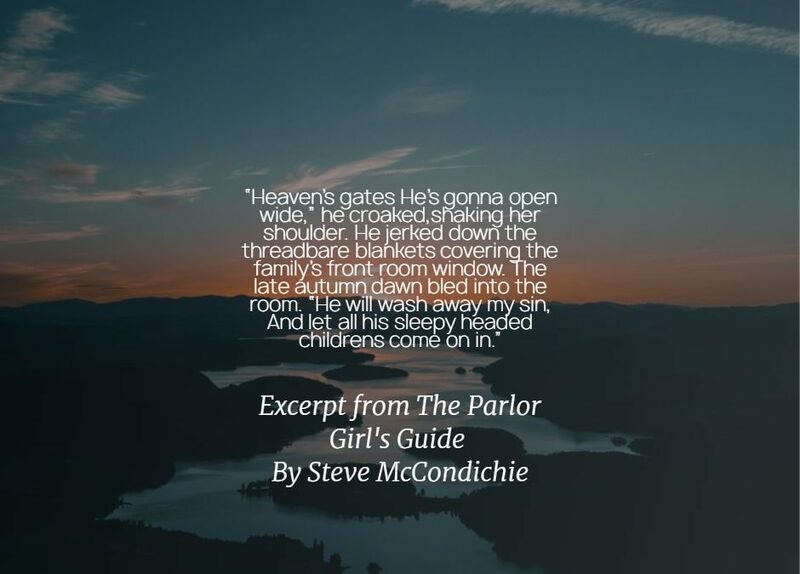 Steve McCondichie’s new book, The Parlor Girl’s Guide, is now available for kindle for free on Amazon. A hard-edged country girl enlists the living and the dead to guide her past family tragedy and forge her escape from a secluded Southern brothel. After her father’s murder and mother’s abonnement, a merciless landowner forces Molly Lingo to work in a rural Alabama hunting lodge that doubles as an exclusive whorehouse. Molly, the feisty tough teenage daughter of a hand-to-mouth tobacco farmer, employs a mysterious specter and a troubled gambler, “Cotton” Arnold, to assist her in breaking away from the unrelenting grip of the sharecropper culture. Set at the beginning of the Jazz Age’s promising sweep across America, Molly’s story depicts both the shocking brutality of the landlord class and a young woman’s determination not to be treated as a second-class citizen. This energetic historical fiction offers supernatural thrills and the poignant transformation of a metaphysical coming-of-age tale.